"The city of a thousand sacred hills"
To introduce this "capital between hills and rice fields", where one sometimes does not know where the countryside ends and where the city begins, by one of the vestiges of its past architecture and its social cells that is "tamboho" would not be a heresy. Square or sometimes a perfect circle, these traditional enclosures did not need a foundation, being enough of the art of their builders to compose an aggregate of laterite, dry grass, cow dung and river sand ready to defy the centuries. The most impressive ones are found in the Avaradrano whose villages which are called Ambatofotsy, Lazaina and other Manandriana are among the most beautiful of the Imerina. 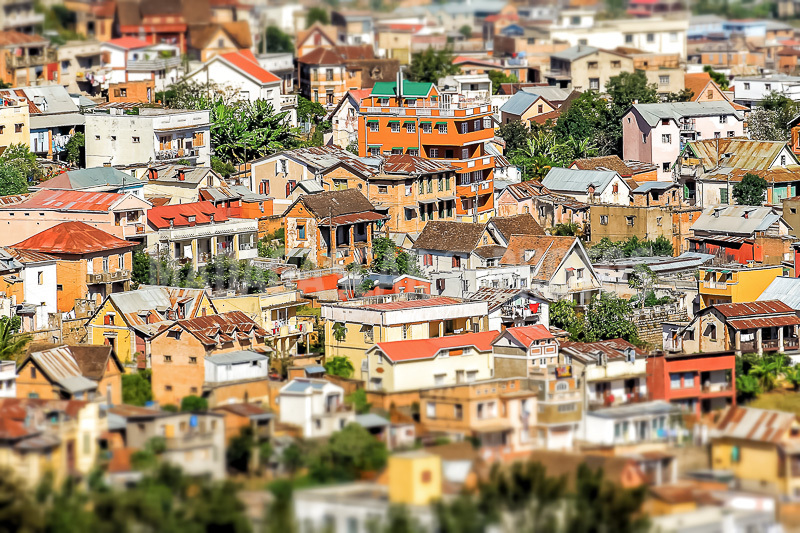 The configuration of Antananarivo is in its way a dial to go back in time. Discrete and opulent residential areas, new landscaping, shopping centers and industrial units, wide roads that have names Boulevards of Tokyo or Europe, entire sections of the periphery tend to unify with all modern metropolises. This environment in perpetual movement can however reserve immutable surprises like, behind a cement plant, the only private Ramsar site in the world. This Tsarasaotra Park, a haven of peace immortalized by the image of a bunch of birds that has made the tour of the tourist offices, is a stage rarely missed bird watchers because frequented by more than 60 species of which half are endemic. 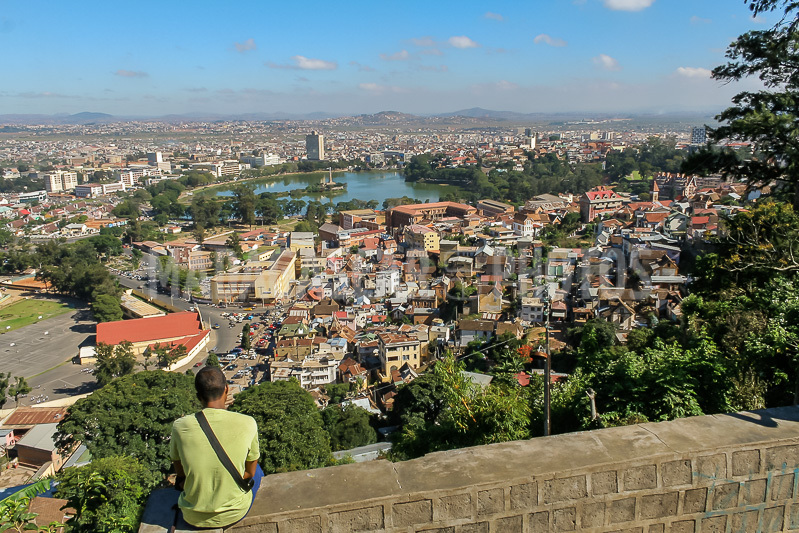 The lower city speaks little of its past, obscured it is true by that of the heights considered as the true depository of the soul of Antananarivo. Who, however, would not have a smile interested in learning that until the 19th century it was possible during the floods to link Analakely and Ivato in a dugout, bypassing the mound of Antanimena? Or that the Independence Avenue, originally Avenue Fallières, was traced in 1912 but was only endowed in 1935 with its arcades, a Mediterranean idea imported from its native Orania by Governor Cayla? We prefer to linger on the city-pyramid side of Tana, like the photographer Jacques Hannebique for whom "we must have climbed the stairs with a thousand steps to lose breath, down the steep and winding alleys to meet Mahamasina, and to have seen the jacarandas of Anosy lake at the end of the year to cry under the storm their purple tears... "The stairs of Antananarivo, how much are they, a hundred, two hundred, a little more or a little less, from monumental works to simple passages between two levels?